This cute riding horsey is getting retired today. 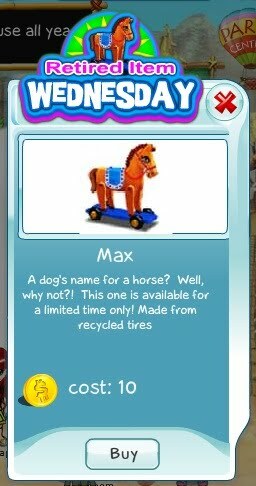 Max would look great anywhere in your home, and once you have it, you could ride it whenever you want. If you haven't had the chance to get it until now, hurry, because it will be gone tomorrow!